Further expansion at HEXO (HEXO Stock Quote, Chart TSX:HEXO, NASDAQ:HEXO) highlights just how undervalued the stock currently is, says Beacon Securities analyst Russell Stanley. This morning, Up Cannabis, a wholly owned subsidiary of Newstrike Brands (which was recently acquired by HEXO) announced it had entered into an agreement with New Brunswick to supply cannabis as a licensed producer. Stanley notes that New Brunswick is the eighth province that HIP has struck a deal with, pointing to an expanding sales reach that will take HEXO’s aggregate annualized capacity form 108,000kg to 150,000kg. Yet the analyst thinks the company isn’t getting much love right now, estimating that HEXO is trading at a 77 per cent discount to its US listed peers. In a research update to clients today, Stanley maintained his “Buy” rating and one-year price target of $14.00 on HEXO, implying a return of 42 per cent at the time of publication. 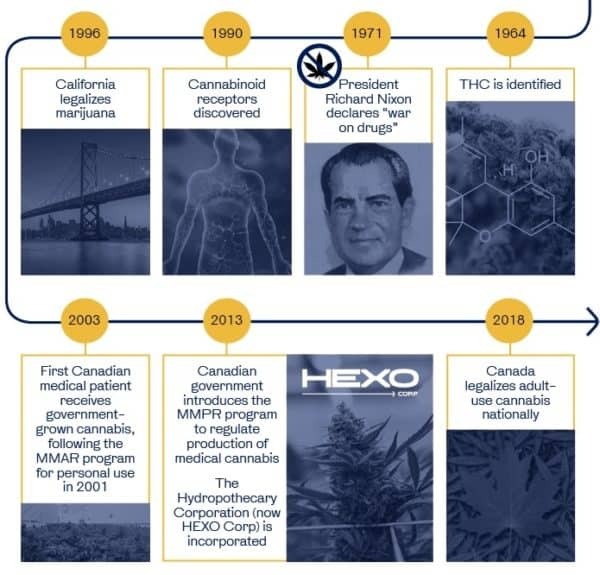 Stanley thinks HEXO will post Adjusted EBITDA of negative $21.3-million on revenue of $59.5-million in fiscal 2019. He expects those numbers will improve to EBITDA of positive $151.5-million on a topline of $450.0-million the following year.